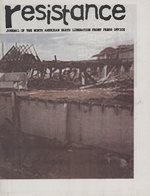 This was a widely circulated pamphlet produced by the North American ELF Press Office that served more as an FAQ about the politics of the two press officers, Craig Rosebraugh and Leslie James Pickering. Because the saboteurs of the ELF were underground, they relied heavily upon their above ground counterparts to challenge false media reports, publicize their actions, and explain their ideas. A brief look at the ideologies of those later convicted for ELF actions shows that many of them were in the anti-civilization and anarchist camps, whereas the press officers representing them were more traditionally radical-left anti-capitalists influenced by animal rights and environmentalism. While there may have been small divides in the politics of those carrying out the actions and those speaking to the media, no one can doubt that the NAELFPO fought hard, and suffered greatly, to show their support for the Earth Liberation Front. The two press officers experienced multiple grand jury subpoenas, police brutality, raids on their homes where all of their possessions were destroyed, and even attempts on their lives. Craig Rosebraugh, for example, once found the brakes of his car cut. 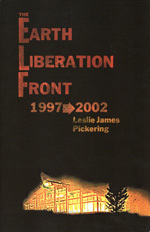 Instead of taking him out of the fight, the repression and violence seemed to steel his resolve, and him and Leslie James both have continued to be vocal activists. This FAQ is still one of their most read publications, and we are happy to host it here at Conflict Gypsy. Before Portland became famous for its eccentricities and vegan mini-malls, it used to be known as one of the west coast’s most active centers for direct action oriented environmental, animal, and human rights activism. Famously referred to as “little Beirut,” by the George H.W. 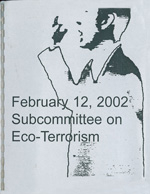 Bush administration, Portland was the home of peace-punk bands, eco-saboteurs, and anti-government riots. Then, strangely enough, it became a hotbed of pacifism in the mid-90s thanks to the efforts of… wait for it… Craig Rosebraugh. 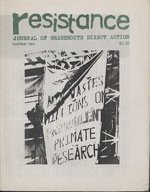 After the failure of attempts such as One Struggle to document a broad movement for ecological sanity and justice for all life, Liberation Collective took up the torch and released the first issue of Resistance. The inaugural issue was unlike any other in the series though. The main forces behind the publication, Craig and Leslie James Pickering, had politics that were no longer meshing well with the rest of the group. 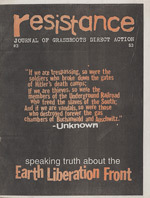 Liberation Collective was falling apart due to a number of factors, and ultimately LJ and Craig struck out on their own, founding the North American Earth Liberation Front Press Office and continuing the Resistance project as a newsletter of their new organization. 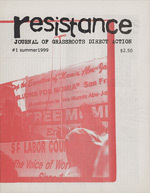 The third issue of Resistance launched what was to become the best source of information for a rapidly expanding underground movement. 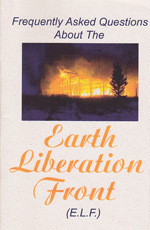 The Earth Liberation Front was becoming active across the United States, but supportive coverage could be difficult to find. Even the Earth First! Journal wasn’t always willing to support the large scale arson attacks of the ELF, and when they did they lost membership. (Famously, Julia Butterfly left Earth First! after the Journal gave positive coverage to the Vail arson.) 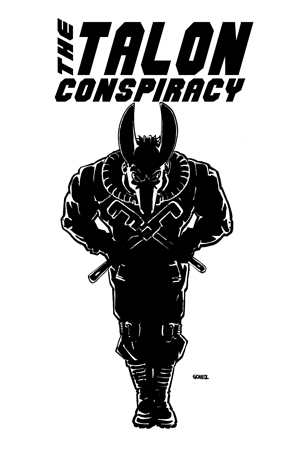 Resistance, however, published nearly every ELF communique unedited, and covered the multiple federal investigations into the groups actions. 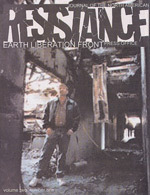 Activists seeking a better knowledge of the events leading to the green scare and “Operation Backfire” arrests would do well to start by reading the early volumes of Resistance.